Modern airports are hives of activity. Often likened to a city within a city, they employ thousands of people and serve millions of passengers every year. Communications networks are the lifeblood of these vast and complex facilities, helping to keep them running effectively 24 hours a day. Traditionally airport networks have been based on multiple radio or wireless network architectures. For example Public Protection and Disaster Relief (PPDR) may use a dedicated professional mobile radio platform (PMR) based on TETRA or Project 25 standards while maintenance personnel may use a separate PMR network. Aircraft pilots use the satellite-based Aircraft Communications Addressing and Reporting System (ACARS) to send and receive messages, while ground operations and data for maps, routes and passenger entertainment uploaded or downloaded using dedicated Wi-Fi. In addition public non mission-critical networks may be based on 2G, 3G or 4G mobile networks. This silo approach is increasingly resulting in major challenges as the costs of maintaining and managing these networks grows. Indeed a single airport may be hosting seven or more networks with each having its own requirements with respect to coverage, capacity and redundancy. And with the trend towards automation, machine-to-machine (M2M) technologies and video monitoring, current network technologies are struggling to meet these demands and are also unable to upgrade to next-generation applications, including IP-based services. 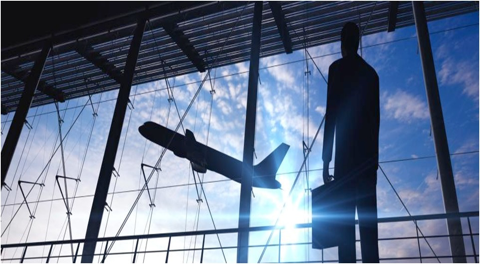 As a result, airports are looking to transition to Long Term Evolution (LTE) to secure the high-speed, high security and high bandwidth networks they need to retain safe and efficient operations. Based on IP technology, LTE can manage multiple existing communications networks on a single LTE and a fixed IP/MPLS converged network. It’s also flexible, meaning it is deployable in different frequency bands, and can accommodate different channel bandwidths. However, securing the benefits of LTE is not possible through a simple network rollout. Due to varying spatial, capacity and redundancy requirements and the complex structure of the airport environment – their size, the multiple physical environments, and the distinct and often competing requirements of operations personnel and the public. Bell Labs, the research and consulting arm of Nokia, can support airports to make the right decisions when choosing their LTE rollout. This also includes selecting an appropriate business case to meet a specific airport’s needs. Duplicated model, where the airport authority (AA) grants each mobile network operator the right to deploy its own RAN infrastructure. Exclusive model, here the AA signs an exclusive agreement with an MNO to build and operate a dedicated network for passenger and mission-critical applications. Bell Labs recommends a combination of the shared and exclusive model for both mission-critical applications and passenger services. For more on how you can get the best out of LTE for your airport, download this Nokia White Paper: Enhancing airport communications with LTE ultra-broadband and visit our LTE page.